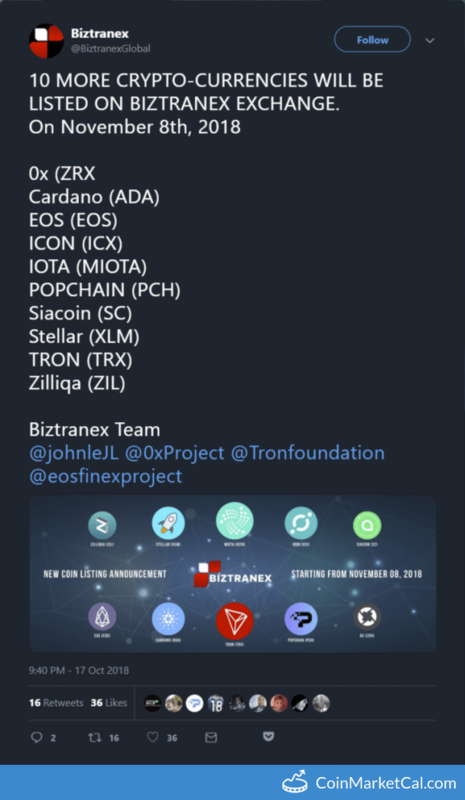 0x (ZRX) - Events, Price, Market Cap, Supply, Exchanges and more! 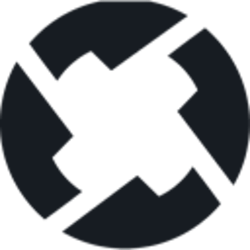 0x is a decentralized exchange protocol that enables low friction exchange between ERC20 tokens on the Ethereum blockchain. 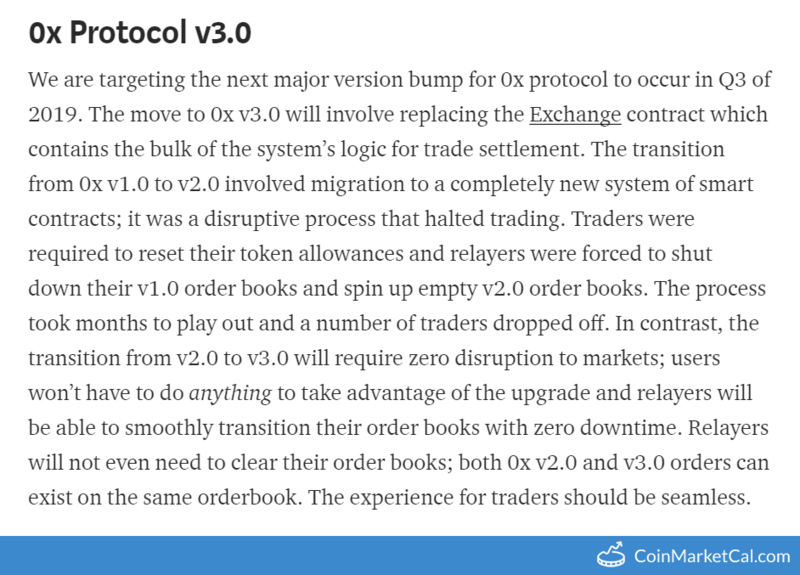 "We are targeting the next major version bump for 0x protocol to occur in Q3 of 2019." 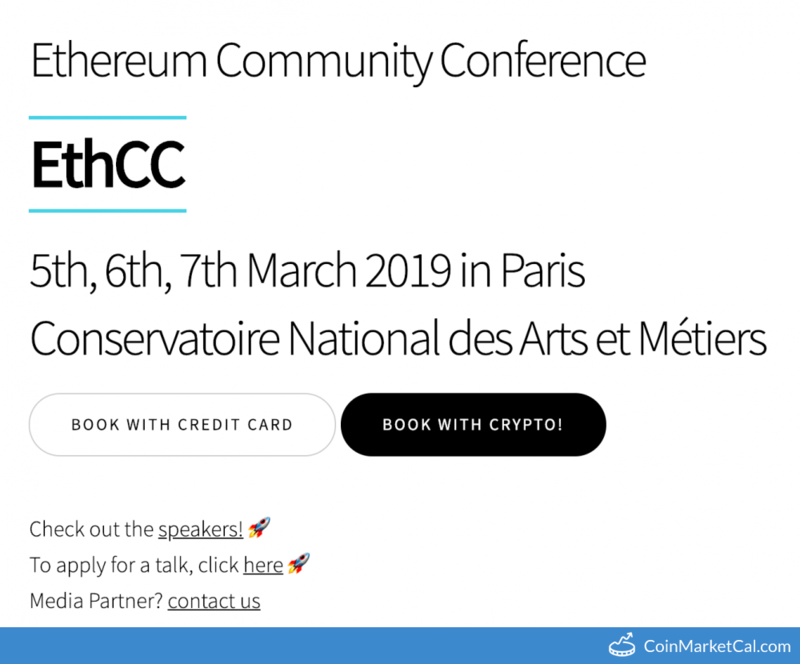 EthCC 2019 (Ethereum Community Conference) is the second edition of a series of conferences and workshops dedicated to ETH. Over 50 speakers explore the Non-Fungible Blockchain Ecosystem at the PlayStation Theater, Times Square, NYC. 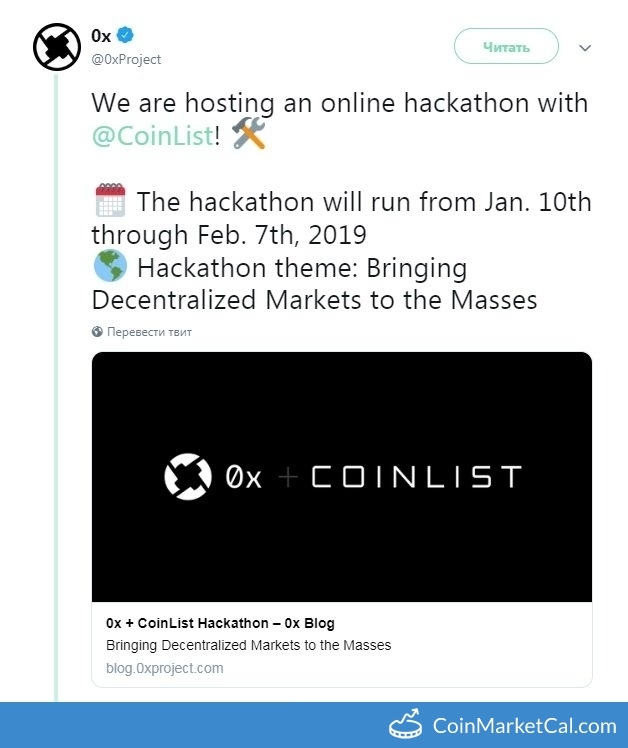 ZRX hosts online hackathon with CoinList from Jan 10 - Feb 7. AraCon in Berlin from Jan 29-30. Decentralized Summit, presented by MFT, from Jan 29 - 30. 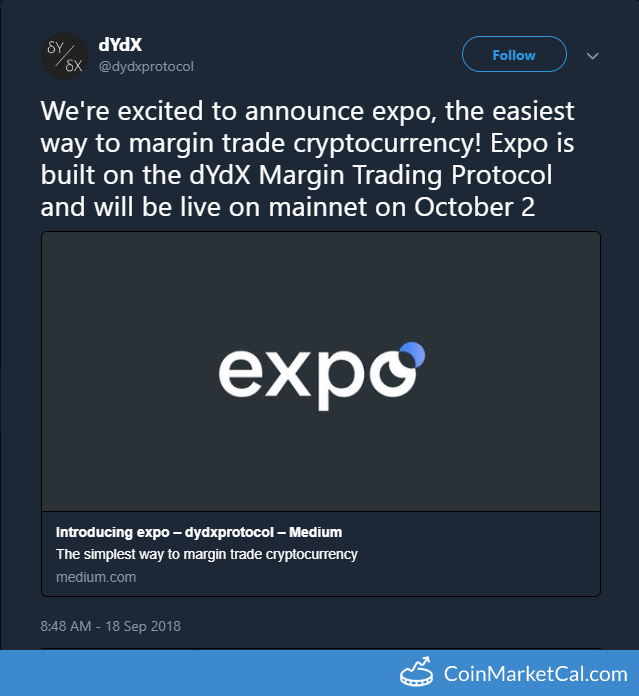 Expo, built on the dYdX margin trading protocol, released on mainnet. Trading Carnival is a week-long competition in different markets on Coindelta. Prizes worth INR 5000 distributed daily.